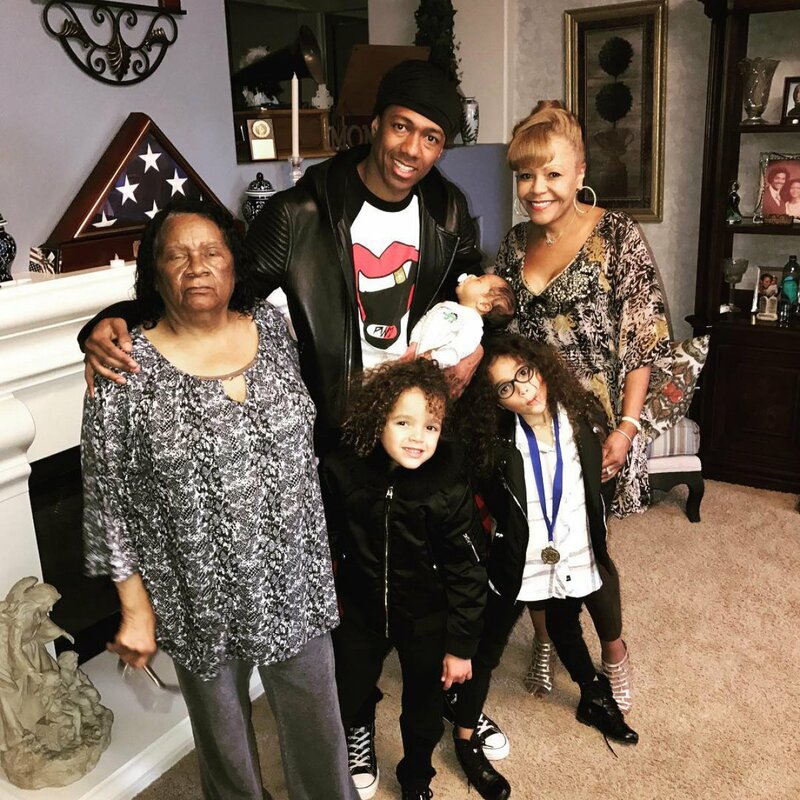 Nick Cannon has introduced his twin children he shares with ex-wife Mariah Carey, Moroccan and Monroe Cannon, to their newborn brother Golden "Sagon" Cannon. "Big Sister Love! Roe Roe and Go Go!!" Cannon wrote on Instagram Sunday of the family get-together alongside a photo of Monroe holding baby Golden in her arms while sitting on a couch. Another family photo featured Cannon posing with all three of his kids alongside his mother and grandmother. "My Grandmother Hates taking pictures! LOL #FamilyDay #Rocky #RoeRoe and #GoGo" the 36-year-old wrote in reference to his grandmother's expression. Cannon shares Golden who was born on Feb. 21 with his ex-girlfriend, model Brittany Bell. "Weeping may endure for a night, but Joy cometh in the morning! No matter how hard the world may hit you, God always reminds us of our purpose! #TrueHappiness. Welcome to Earth Son!" the actor wrote at the time. Following Golden's birth, Carey shared her support for Cannon on Twitter and denied there was any drama within their family writing, "Nick is the father of my children, we will always stand up for each other, have each other's backs and we will always remain a strong family."